Did you make any New Year’s resolutions? I have a short little list I’m working on. In addition to the usual (drink more water, etc. ), I have a couple thrifting-related goals. Towards the end of last year, I was alarmed at how thrifting, something I enjoyed so much, started to feel like work, now that it actually is, well, my work. I missed the old, pre-reselling days when I simply shopped at thrifts for fun—no pressure, no competitive feelings—just a girl in search of a good old-fashioned bargain or vintage gem. So, my no. 1 resolution, thrifting-wise, is to recapture the joy of the hunt. With the intention of getting back to that happy place in 2012, I’ve changed both my mindset and a few of my shopping habits. Visiting estate sales on Sundays is one such tweak. I have one firm (FIRM!) day off a week—Sunday—that I spend however I want. And sometimes all I want to do is visit an estate sale! So last Sunday morning, I did. Over the course of the weekend, I could see that the sale had been ravaged—the rooms were all nearly bare, the carpet littered with leaves and debris. With my old mindset, I might have been disappointed by how empty it was, sad over all the finds I missed. But somehow, knowing that I had chosen to be there on my day of leisure set my mind right. I contentedly made my way around each room, digging through boxes, opening drawers, eyes open. It felt like the old days, like progress was being made. And of course, I found some things I’m excited about. 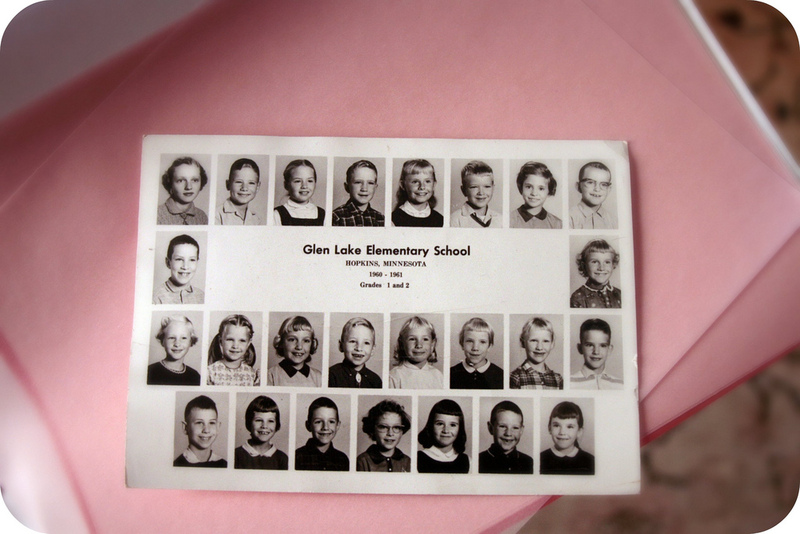 This class photo, featuring the home’s owner (the teacher, pictured in the top left corner), was tossed on a bed with towels and linens. Easily overlooked by others; a gem to me. I have a horrible habit of leaving a trail of jewelry around my house. In nearly every room sits a bangle, a pair of earrings, a brooch, a necklace or some combination thereof. Meaning, I never pass up the opportunity to pick up a pretty vintage catch-all or box. 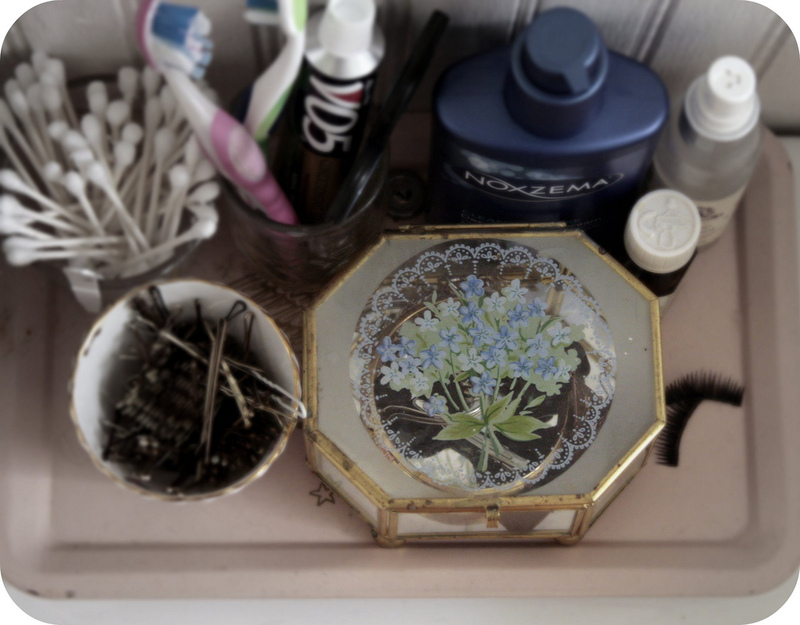 This one, adorned with cute little forget-me-nots, now sits atop my commode. 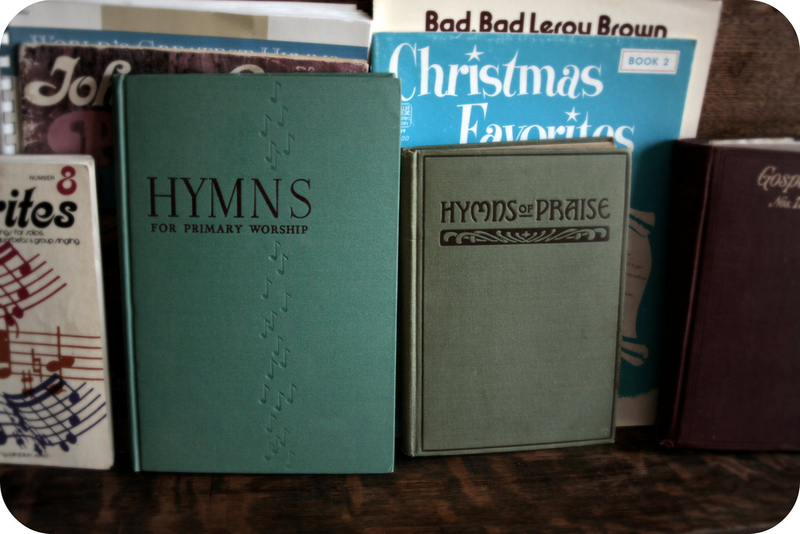 A couple vintage hymnals to add to my collection. The one on the right bears an inscription from 1913! 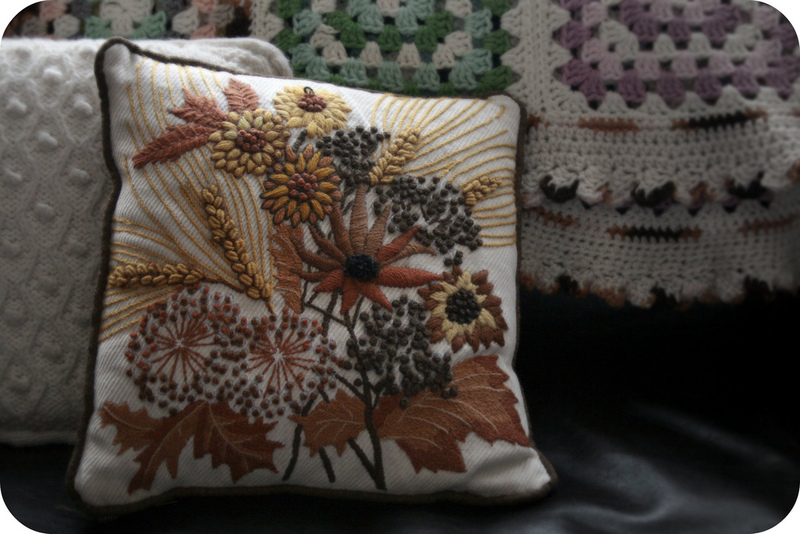 It’s likely that this stunning crewel pillow will end up at shop, not because I don’t love it, but because it doesn’t go with my living room’s color scheme. It has the most gorgeous detail! 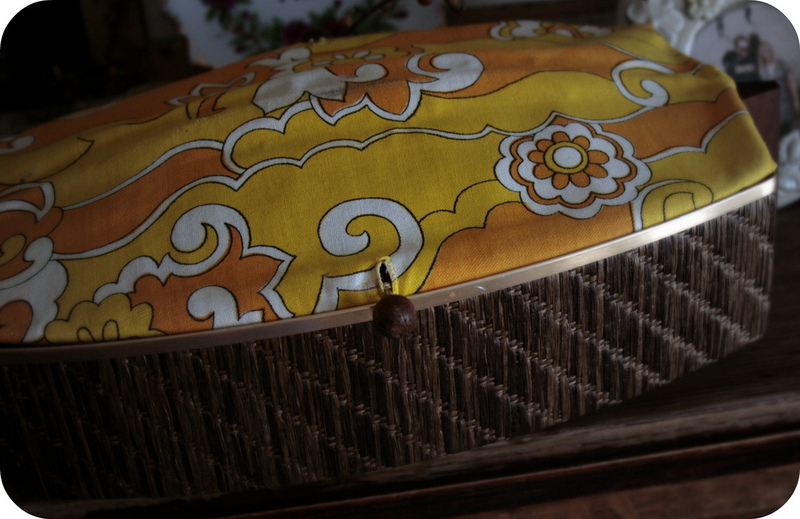 I was so happy to find this vintage Salton bun warmer for mama Kate. She complimented mine at a soup swap I hosted last fall, and I’ve been on the hunt for her ever since. P.S. If you ever find one of these at the thrifts, buy it! They’re wonderful, especially in the winter. Other things I came home with, not pictured: some vintage stationery and postcards, a cool tiny hand-carved cactus knick-knack & a couple more pieces of sheet music. My grand total was $5, but enjoying the fun of the search…well that was simply priceless. This entry was posted in Uncategorized and tagged edina, estate sale, thrifting, vintage by highplainsthrifter. Bookmark the permalink. very very cute finds! i love catch alls. and the hymn books are really sweet.